Regular aircon servicing can actually save you money because it can save the most expensive thing required for its proper working, energy. Every aircon user tries to save energy due to its higher cost. 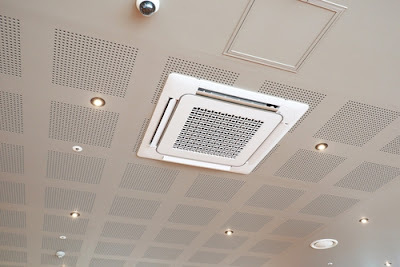 Aircon is one of the appliances used in almost every home as well as commercial establishment that consumes the most energy, especially in hot and humid regions. Thus by reducing the consumption of energy by servicing your aircon regularly you can easily save money. Regular maintenance of an aircon can be the best way to be sure that your cooling appliance is not wasting energy. The efficiency of your air conditioner depends on the working condition of its various parts including fins, coils and filters. If they are maintained regularly then they can improve the performance of your appliance and hence reduce the consumption of the energy. 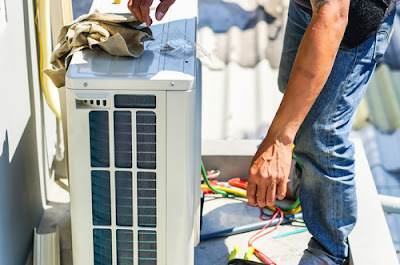 The ways to save money by servicing an air conditioner regularly are being briefly discussed in this write-up for your guidance. Filter of an aircon is one of its most important parts that provide you clean and healthy air inside your home or office. If the filter is clogged or blocked with dirt and dust then the flow of air in your premise will be blocked. This dirt and dust can also affect the heat absorbing capability of the evaporator coil when it bypasses the dirty filter and get into the coil. It has been proved through various studies that you can reduce the consumption of energy by almost 15% by cleaning or replacing the dirty and clogged filter of your aircon. 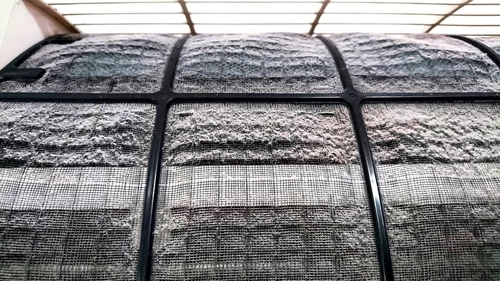 Some of the filters used in air conditioners can be cleaned and reused whereas some have to be replaced every time. Though cleaning and replacement of the filters depends upon the consistency of running the aircon still they should be cleaned or repaired from time to time to ensure its good performance. While using replaceable filters you should replace them after every two months otherwise you should clean it frequently to save more money. The frequency of cleaning or replacing the aircon filter can increase if you have fur bearing animals in your house or live in a dusty environment. Another important part of your aircon that needs regular servicing is its coils, evaporator coil and condenser coil. With time both of these coils collect dust especially when the filter of the aircon gets dirty and clogged. The flow of air in these coils reduces when they are insulated with dust which in turn reduces their heat absorbing capability. So to avoid the occurrence of such problems and to ensure the proper working condition of the aircon you should clean its coils on annual basis. If the plants are nearby the outdoor condenser coil or it is located near dirty environment then this coil is likely to be dirty more frequently. So you should locate the condenser coil on your aircon to allow you to check dirt of its fins and clean it as and when required. So to keep your condenser coil clean you should not install it near drier vents, lawn mowers and falling leaves. 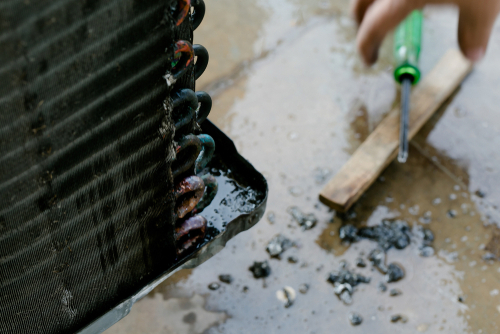 You should remove dirt and debris collected around the condenser coil to ensure its proper working. The evaporator coil and condenser coil of almost every air conditioner have aluminum fins. These fins can block the air flow around the coils when they are bent due to any reason. You can use the tool provided with your aircon to comb its fins to straighten them into original condition. You can increase the cooling efficiency of your aircon by keeping these fins straight. Your aircon will not be able to reduce indoor humidity if its drainage system is clogged and hence it can change the color of your carets and walls. So to ensure the proper functioning of condensate drain you should use a stiff wire through its drain channel every now and then. Moreover moisture can damage the seal between the metal case of the aircon and the window frame. So before starting it in summers you should ensure that this seal is intact to stop the outward flow of cool air from your home. 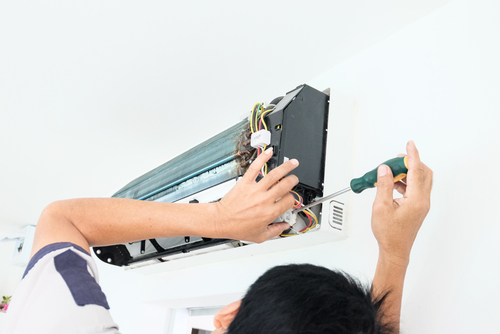 You should prefer to call a professional aircon service for the regular maintenance of your air conditioner if it requires more than one regular service in the season. Though you will have to spend more as the fee of the professional still you will save lots of money. An experienced and trained professional will fix the problem in your aircon permanently by finding its root cause. 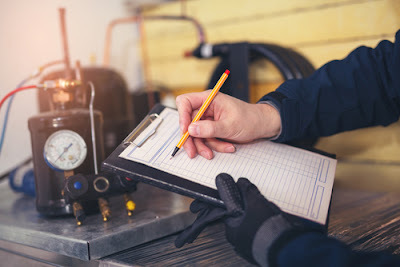 Along with servicing your aircon the professional service provider will check the level of refrigerant in it, check leakage in refrigerant by using leak detector tool and capture the removable refrigerant for its safe disposal. He will also check the leakage in the duct of the central system of your air conditioner along with its electric control system to ensure proper working of its cooling and heating systems. He will also check the accuracy of its thermostat, amount of air flowing through its evaporator coil, tightness and wearing of belts and oil motor and cleanliness of its electrical system. Thus, by regular maintenance of aircon you can really save money as it will improve its performance and reduce energy consumption. 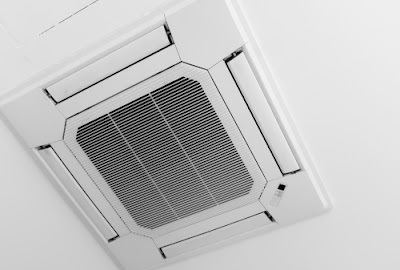 In fact, in hot and humid regions an air conditioner is a very important appliance for comfortable living, either in a household or a commercial establishment. It not only controls the indoor temperature of a place but also consumes the maximum energy. So, to save money it becomes necessary to control the wastage of energy by regular servicing. As a segregating client, some prerequisites must be met by any organization to feel great utilizing them. With regards to introducing or adjusting a ventilation system, one ought to get quick, proficient administration that they merit. The organization ought to have practical experience in organizing and providing a wide range of aeration and cooling system units for not merely organizations but rather private residences moreover. Clients expect an organization that keeps up the most astounding models of uprightness; with this organization that is the thing that they get. A cooling administration incorporates things like cleaning and washing channels, cleaning the evaporator curl, checking the condenser unit, cleaning the blower wheel, fan sharp edge and deplete dish, flushing the deplete pipe and checking for any commotion issues. The formidable aptitude of the exceptionally prepared propelled, and skilled staff satisfies the necessities of the client with add up to the responsibility. They chip away at and with most brands that are available. They will introduce and benefit indoor and open-air units, window units, and casement units. The specialists obligingly and promptly answer any inquiries a client may have about the administration and state of their unit. They have confidence in safeguard upkeep too. By forestalling aircon water leaking, they will enhance the cooling execution of a group, delay an existence of a unit and spare client cash before they understand it has been spared. Different advantages are breathing perfect, natural air for the life of aeration and cooling system. There can be no anticipating when a ventilation system will stop working, solidify over, or quit blowing cool air. Preventive support will help with these sorts of issues. Synthetic cleaning is one way that they will help the aeration and cooling system in a habitation or business. An expert cooling adjusting accompanies a guarantee for the client. 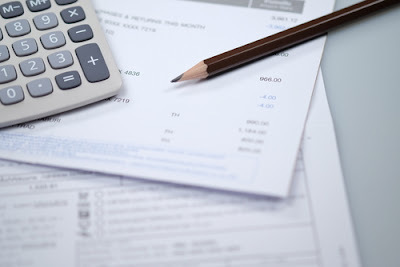 Certain rebates can be had that can be put into an agreement. The certifications are among the most astounding that clients expect of a top-notch organization. The aeration and cooling system benefit acknowledges crisp; the breathable air is basic to life and joy and in that capacity conveys precisely what one would anticipate. Being satisfied and happy with interest is the thing that they are about, and there is most likely that the client will make the most of their aeration and cooling system all the more consistently. Legitimate Servicing Equals Optimum Performance. Goodness, the solace that outcomes when the air inside a room achieves an even level of coolness and legitimate mugginess joined! In any case, aerating and cooling incorporates cooling and dehumidification, as well as ventilation, cleaning and warming are additionally a piece of the aggregate bundle. This speaks to sizable speculation also and one, which requires upkeep by a qualified expert. With any machine, legitimate care will guarantee a long existence of ideal execution. The aircon unit has numerous segments which need the aptitude of a prepared administration individual to keep up appropriately. This can be expert by booking registration all the time as opposed to sitting tight for a period when you encounter an intrusion requiring a repair. • Check channels and clean if necessary. • Check dissipation loop and perfect as required. • Inspect the blower haggle sharp edge. • Check deplete dish and perfect as required. • Inspect deplete pipe and altogether flush. • Listen for any abnormal clamor issues. • Inspect every single electrical part. • Check the coolant chemicals. 1. Guarantees your zone will be subjected to sound air which is an ultimate objective for your family. 2. Adds benefit life to this air quality item. 3. Spares cash on repair charges by staying away from break-downs before they happen. 4. Counteracts aircon water leaking harms. Customary support benefit calls are for the most part thought to be only a "registration," and if some other administration is required, this would be considered for an extra charge. This may be as straightforward as a substitution channel or extra coolant. It is a "win-win" for the buyer of any aircon unit, paying little heed to the sort, to devote themselves to having normal upkeep by a legitimate organization which can be trusted to convey the products and keeps your home in warm solace. How To Troubleshoot Air Conditioning Units? Aerating and cooling have turned into a basic in all workplaces, shopping centers, autos, and also the greater part of the family units. As aerating and cooling units are machines, they will separate a few times. In this way, it shall be important for you on the off chance that you know some data on how you can investigate cooling units. 1. Why is your air-con unit leaking? There are two primary reasons why your air-con unit is leaking. The waste pipe could be gagged with filthy particles so the water can't be emptied out, causing leaking out of the unit. Another reason could be because of the poor establishment by the temporary worker whereby there is no legitimate inclination of the seepage pipe. 2. Why is your air-con unit not icy? The blower and air channels might be filthy and stopped up with clean. Or on the other hand, it can likewise be the indoor regulator is being set too high and the unit is undersized. 3. Why is your air-con unit creating foul odors? This could be because of the possess a scent reminiscent of cigarettes, smells or other air poisons being sucked into your air-con unit. 4. What will occur on the off chance that you don't benefit my air-con units? The air-con unit will progressively be not able to deliver frosty air, and aircon water leaking may happen. 5. How frequently would it be a good idea for me to benefit my air-con units? 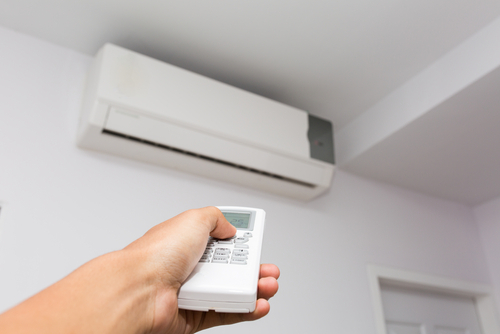 For family units, it is fitting to benefit your air-con units once at regular intervals. For air-con units in workplaces, it ought to be overhauled each month. 6. Why is it important to disassemble the fan loop unit for a compound wash? It is essential as the earth at the cooling loop can be washed and cleaned thoroughly. 7. By what means would it be a good idea for me to pick the correct kind of air-con unit for my home or office? There are three stages to observe here. The initial step is to recognize the territories that you require aerating and cooling. The second step is to figure out which kind of aerating and cooling units that you need, e.g. brands, power and reserve funds. The last advance is to pick an expert temporary worker to enable you to pick the correct kinds that suit your requirements. Climate has turned out to be warm to the point that aerating and cooling units are basics nearly for everyone. The expectation that these as often as possible made inquiries can enable you to acquire bits of knowledge about how you to can investigate your air-con units. 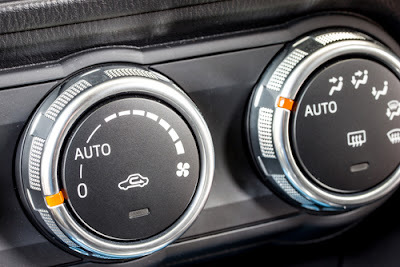 To protect against unpleasant odors, you should regularly clean and disinfect your air conditioning system in the car. Care protects the air conditioner from expensive repairs. The air conditioning in your car is no longer a luxury item today. Already around 90 percent of all new cars have a built-in standard. But if you do not take care of it regularly, it can quickly become an expensive accessory. A major problem is the creeping loss of refrigerant, which evaporates about eight percent per year. If you do not fill the refrigerant in time, it will noticeably reduce its effect. And if the level drops below the critical point, the system switches off completely. Due to the lack of coolant, the compressor lacks lubrication, resulting in high costs. Prevent consequential damage in good time. • Have maintenance performed every two years at the latest to avoid high repair costs. Here are costs between 120 to 200 euros. Bear in mind, if repair costs are incurred, they can quickly climb to a thousand euros or more. • It makes sense to replace the pollen filter immediately and to disinfect the system. • It is also advisable to use the annual climate check. Often professionals find here already first shortcomings. But regular maintenance intervals not only help you save, they are also important for your driving safety. When the heat in the car heats up, the concentration decreases and you react more slowly, which increases the risk of accidents. Your air conditioning system is used for cooling and dehumidification. As a result, residual moisture from the condensate remains on the evaporator and air filter. This is an ideal breeding ground for fungi and bacteria, which spread over the air in the vehicle interior. Of the putrefactive bacteria comes the musty odor and may trigger allergic reactions. These problems can also be overcome with simple means. -The simplest solution is to park your system five to ten minutes before the end of the journey. This allows the condensation to dry completely and the mushrooms and bacteria are removed from the soil. -If the musty smell still remains, use a disinfectant from the car accessories. -To do this, set the ignition and turn on the circulating air. Then open the center, put it in the car and close all the doors and windows. The disinfectant can be used for a few minutes and then air well. If that does not work, your air conditioning needs professional cleaning by a specialist. Cleaning sprays, which are offered by different manufacturers, move in roughly the same price range. The application is simple: The foam from the can is sprayed directly into the evaporator with a longer hose in the engine compartment. 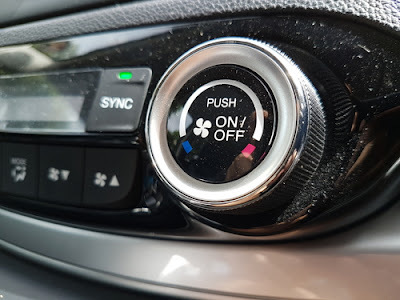 After half an hour exposure time you start the engine, opens all the air vents, turns up the air conditioner fully and leaves it running for some time, so that the active ingredient can spread well. In contrast to the foam, the spray in the passenger compartment with the engine running, the windows closed and the circulating air blower switched on are set to the highest level and temperature in the footwell (in the intake area of ​​the air conditioning system) and activated at the push of a button. After about 15 minutes, the spray mist has completely escaped from the can. One filling is sufficient for the complete disinfection of the air conditioning and ventilation system. During disinfection you must not stay inside the car. Afterwards, the interior must be thoroughly ventilated. A gas that you compress heats up. Conversely, it cools down when it expands again. This principle use air conditioners. The coolant is sucked by the compressor and compressed, then it is cooled in a subsequent heat exchanger. This causes the gas to change to a liquid state. A dryer then filters any existing water from the coolant. Then the coolant passes to an expansion valve, from where it is dispensed metered into the evaporator. Due to the fact that the coolant is no longer under pressure here, it passes back into the gaseous state when passing through the evaporator. Heat is needed for this unit change. This is extracted from the air flowing to the evaporator. As a result, the air after the evaporator is strongly cooled and passes through the ventilation nozzles in the interior. From the compressor, the cooling liquid (now in the gaseous state) is sucked in again and the cycle starts from the beginning. Therefore, it makes sense to turn on air conditioning once a week for ten minutes even in winter. This maintains the functionality of the compressor and ensures a long service life. In addition, the system dehumidifies the air in the interior, which gives you a better view - provided you maintain your air conditioning properly. For the air conditioning system to function properly in the long term, regular maintenance is mandatory. 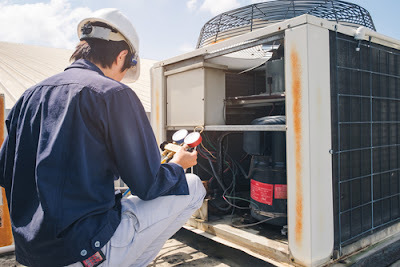 In the air conditioning service, the functions of the most important components such as refrigerant compressor, condenser, evaporator and expansion valve tested. Hoses and gaskets can also age, dry out and become leaky. Manufacturers therefore recommend an annual check of the air conditioning in a specialist workshop. 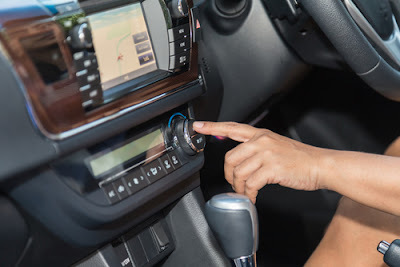 A good date for the air conditioning service is the spring, before the upcoming warm summer time and before the air conditioning has to bring full power back. There are no long waiting times in the workshops and the car is well prepared for hot days. The most important thing is to visit a specialist workshop that has the necessary prerequisites: a special air conditioning service unit and trained specialist staff. Improper maintenance can cause serious damage, so only trained mechanics should work on an air conditioner. Not every inspection automatically checks the air conditioning. At the latest when the cooling performance decreases, the system should be checked for possible coolant loss. Even without a leak, air conditioners lose a certain amount of coolant over time On average, about eight percent a year. This not only reduces the cooling capacity. The likelihood of expensive consequential damage also increases because the refrigerant not only provides cooling. With the added oil, it also lubricates the compressor and protects seals from drying out. If a new compressor is due, including installation more than 1000 euros can come together. Another point in favor of a regular air conditioning service: escaping coolant pollutes the environment. Regular maintenance is therefore also a measure for environmental protection, since leaks are detected and eliminated. In addition, the health benefits from a germ-free air conditioning, bacteria and fungi is made. In contrast, germ-laden air from the air conditioner not only makes you tired, it can also irritate your eyes and respiratory system. Therefore, especially allergy sufferers should not neglect the air conditioning maintenance.